Just like Casey Abrams a few weeks before, "American Idol" delivered its second major shocking elimination on Thursday night, but this time there was no judges' save to keep one contender in the competition. Pia Toscano, the ballad-loving beauty, was told she received the lowest amount of votes out of a bottom 3, which also included Jacob Lusk and Stefano Langone, forcing her to exit from the competition. VIEW THE PHOTOS: "American Idol," Season 10: The Top 9 Perform! "I'm shocked, I'm angry. I don't even know what to say," judge Jennifer Lopez said, tearing up, before quickly composing herself. "I'm gutted, you're one of the best singers in this, you know what I'm saying?" a flabbergasted Randy Jackson chimed in. 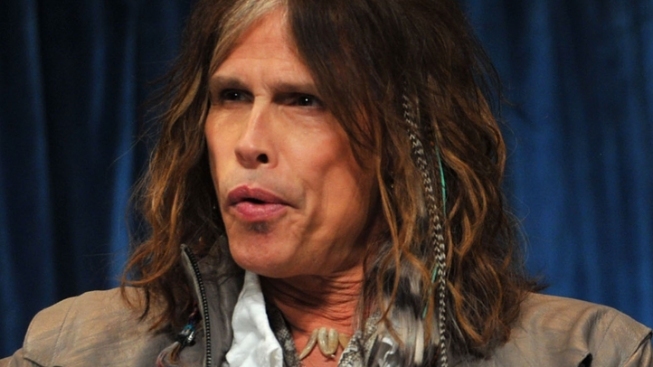 Judge Steven Tyler, however, blamed America, suggesting the voting public got it totally wrong. "I don't know. America, man. You know, a mistake is one thing, but lack of passion is unforgivable. They're wrong," he said. "I don't know what happened with this. She's beautiful. When she sings, she's a bird." Randy suggested fans need to remember to make sure to chime in. "No one is ever safe… so you gotta vote for whomever you love," he said. "I'm never upset on this show, and I'm never really mad, but this makes me mad, it's like, 'What is going on?'" Show host Ryan Seacrest gave Pia a swan song after her exit package, and she chose to sing "I'll Stand By You," breaking into tears as she ended the number. The remaining eight "Idol" finalists will take the stage again on Wednesday night.